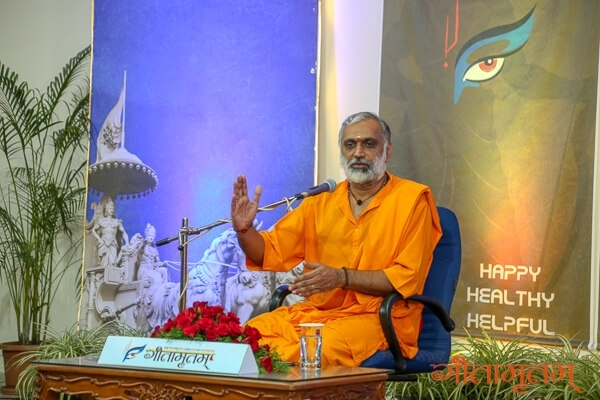 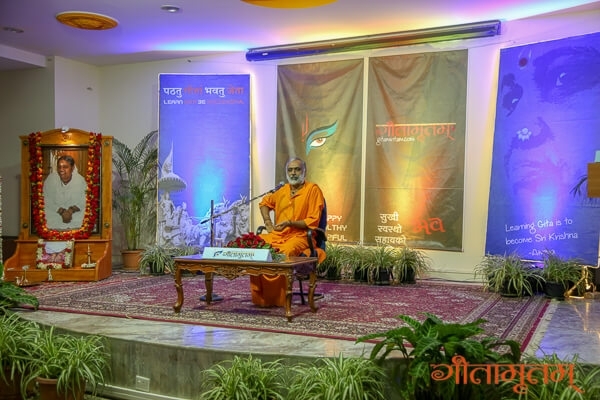 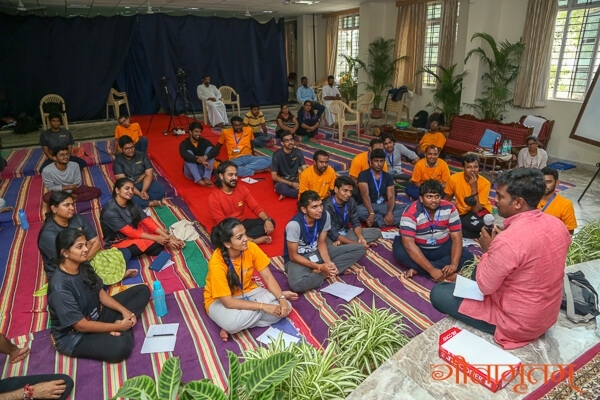 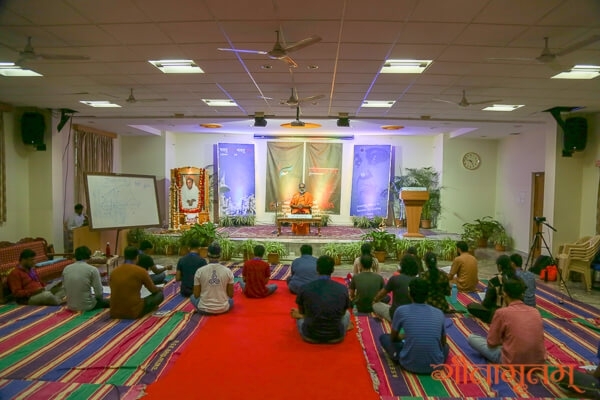 As part of the Nipun ’18 camp, the sessions on Yoga and Yoga Nidra were conducted by eminent scholar Dr Sripad H. Ghaligi. 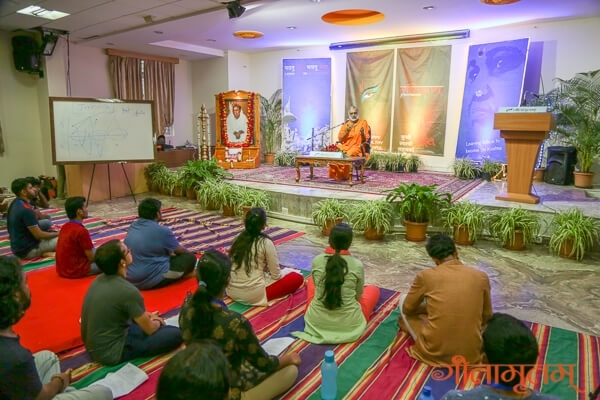 The session was packed with energy, said the participants who considered it as an exhilarating experience. 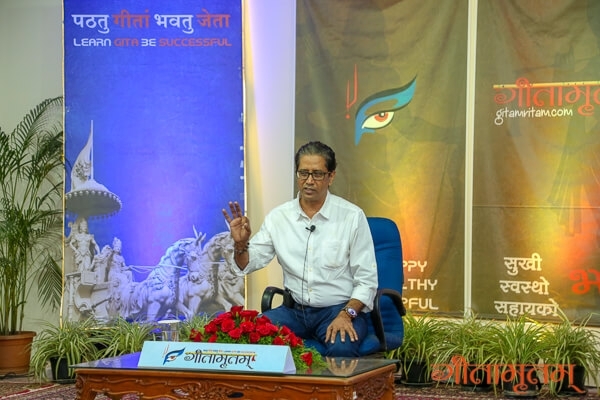 “Sripad ji has beautifully explained the basics of Yoga, complete with practical tips’’, remarked Mr Abhishek A Ahuja with enthusiasm. 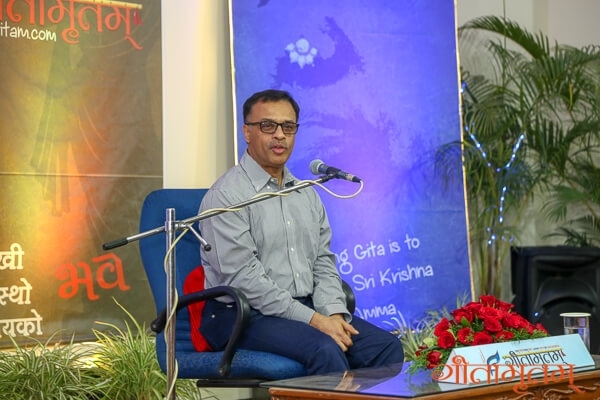 The practical tips were of great help as they opened a way towards a balanced life, said Mr Arun Ramanathan. 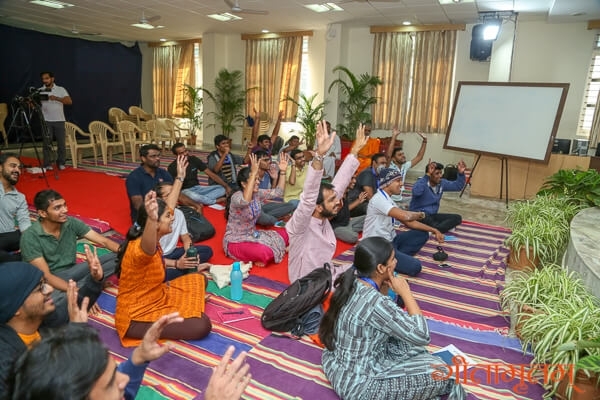 The sessions made it possible for many first-timers to easily remember breathing exercises and relaxation techniques with ease and practice Yoga with comfort. 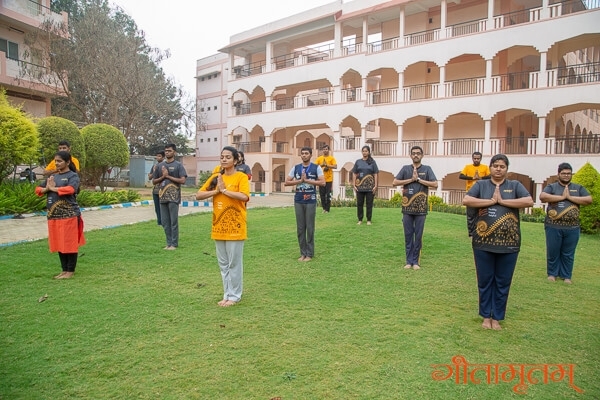 This was the case for Ms Vidhya and Ms Preethi P, who were very impressed by the sessions after realizing the potential of yoga to achieve mental peace and stability. 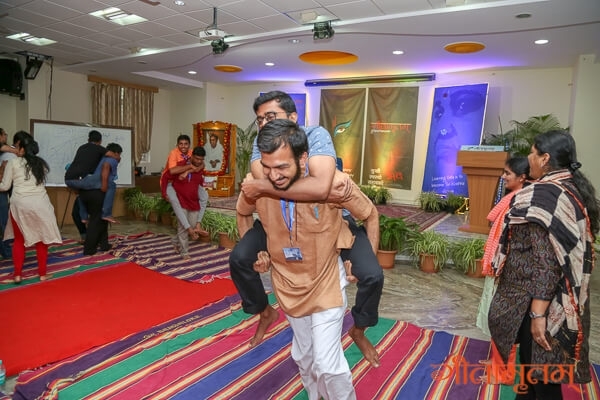 The session was an unforgettable, life-changing experience for both of them. 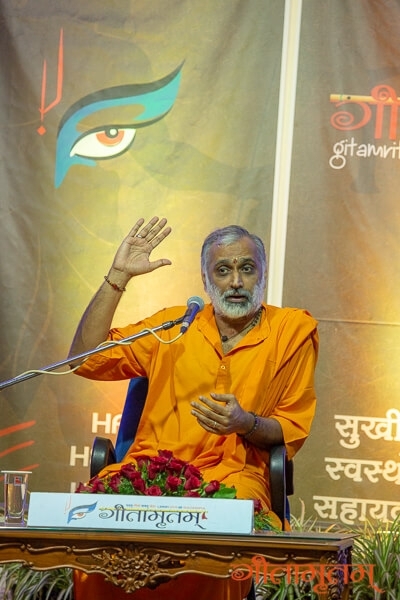 Being a Yogi means being alive every moment, observed many participants. 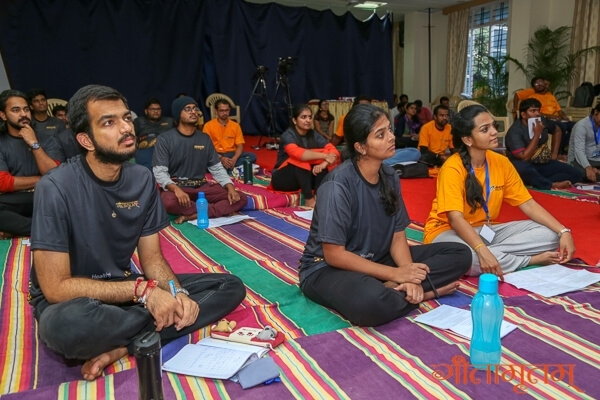 “Even though this is the first time I’m practising Yoga formally; I could feel the results within minutes.’’, said Mr Srivardhan TP. 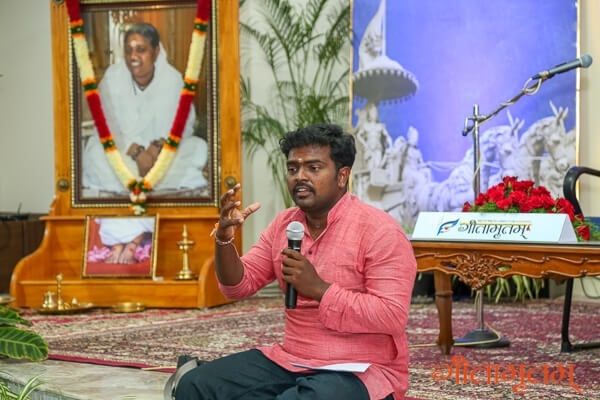 Being fully aware of oneself and the surroundings gave him clarity, focus and peace of mind and the ability to control his thoughts, he remarked. 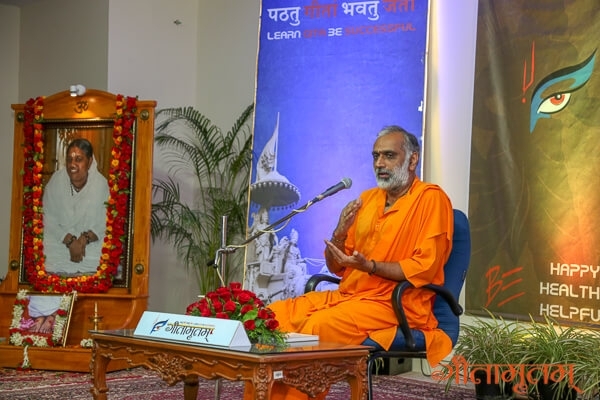 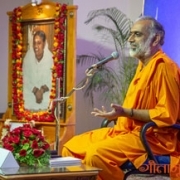 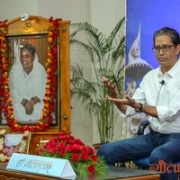 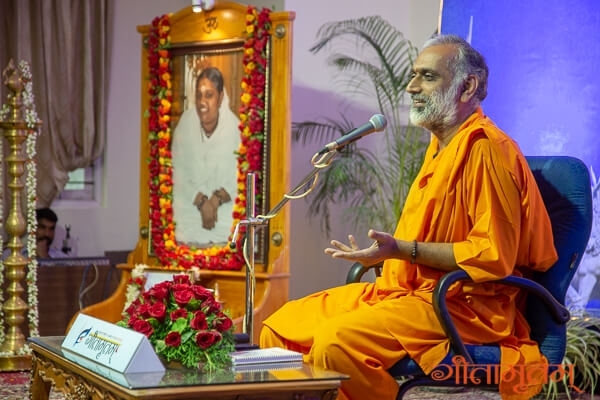 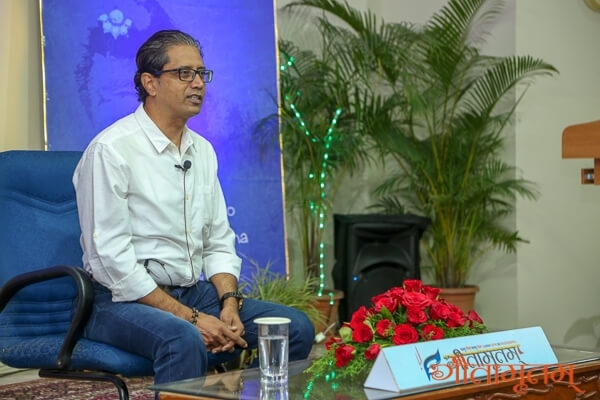 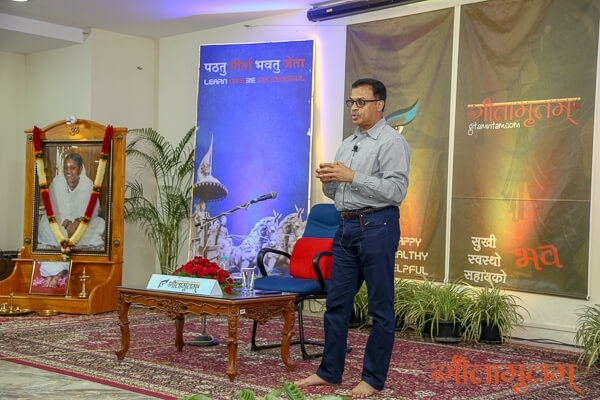 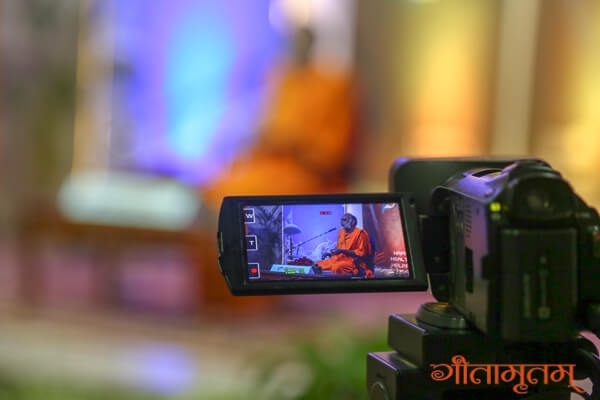 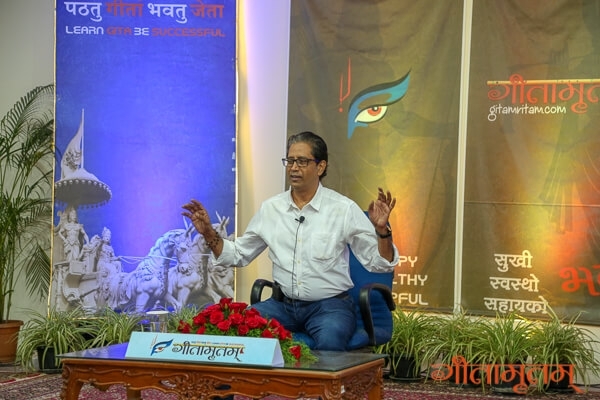 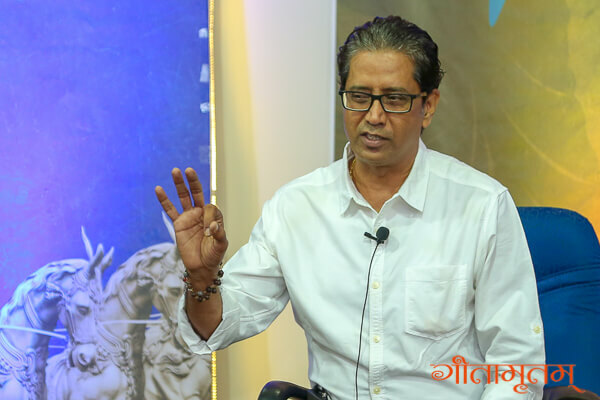 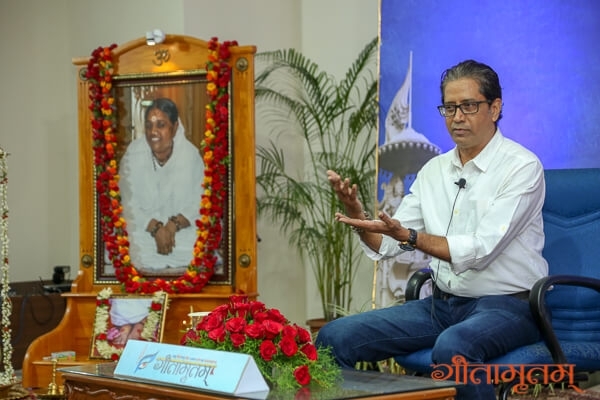 It was pretty much like recharging your soul or experiencing an awakening from within, observed Mr Praveen Raja P. Gaining a clear understanding of the connection between mind, body and breath was the takeaway for him. 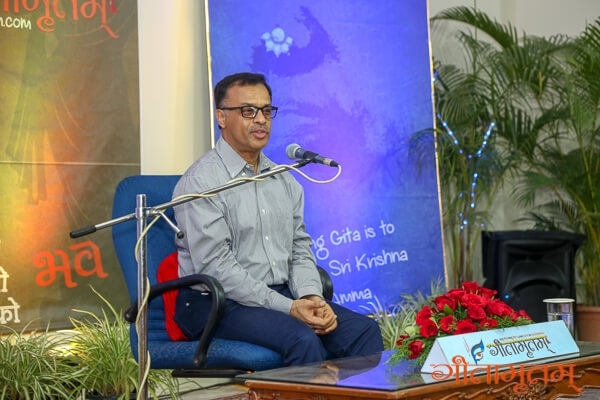 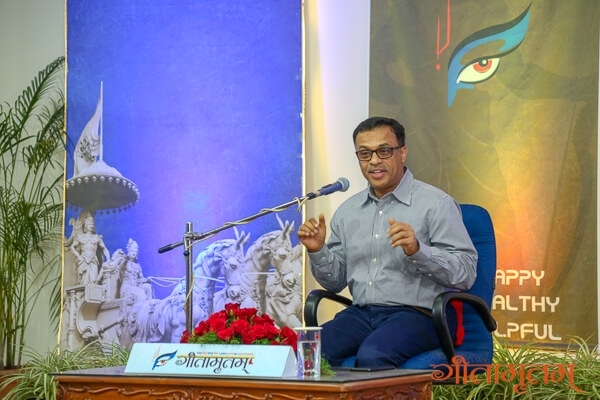 Mr Kartik Krishnan, Mr Anirudh Muraleedharan and Mr Shakti Subramanian were also agreed upon this fact that Yoga is essentially a technique of energizing the body through mastering the mind. 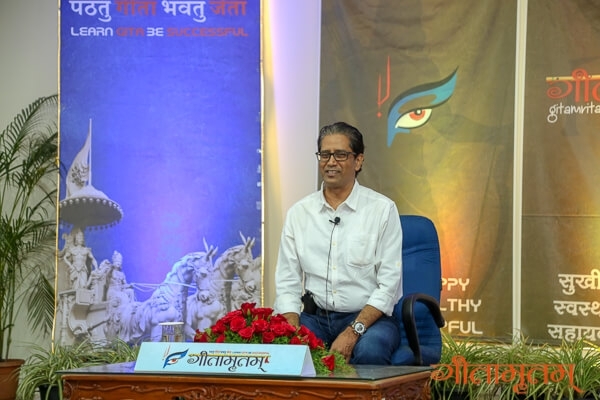 Yoga Nidra was another novel concept discussed at the session but when it was put into practice, the participants were able to realize its power. 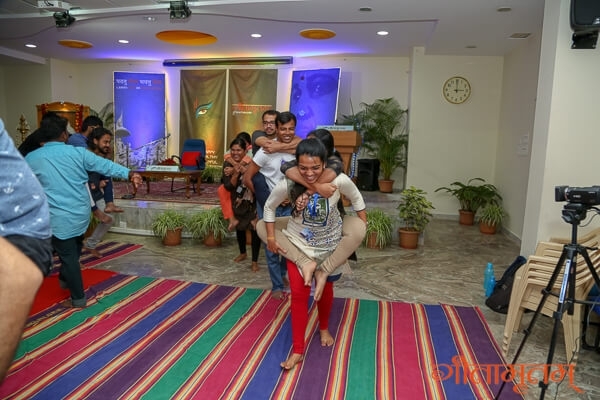 For many including Mr Arun Kumar S., it was a new concept but he found it to be a wonderful experience. 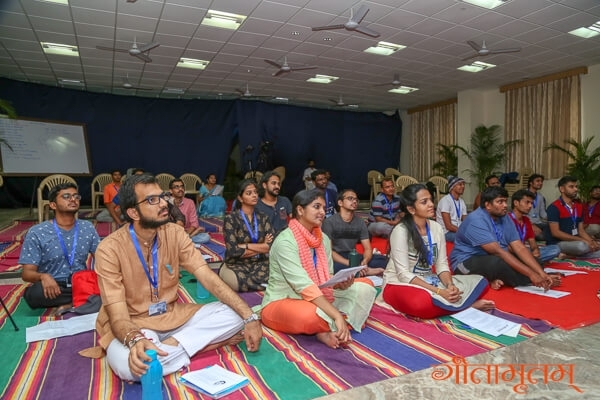 ‘’Yoga Nidra is the best rest we could ever have during the camp because it did not make us sleepy but it energized us.’’, said Mr Ashwin Kumar, a musician. 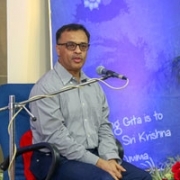 Mr Arpit Agrawal was also got impressed by this novel technique and remarked that ‘’ These systematic power naps helped us to pause for a while, relax so that we could start again with more energy.’’ Participant Ms Gayathri Sarmishta was completely overwhelmed by the experience and remarked that ‘’ I’ve noticed a great improvement from first Yoga Nidra to subsequent Yoga Nidras. 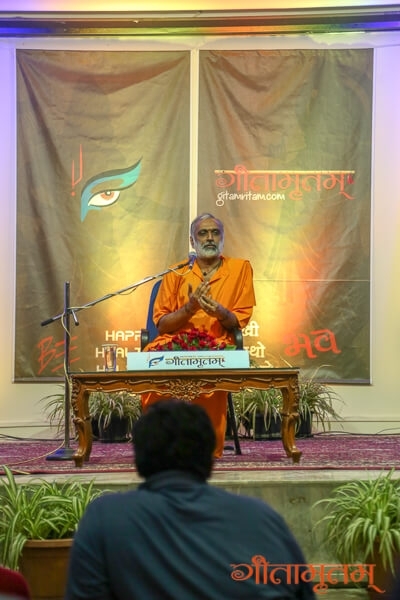 When following instruction like ‘come out and witness the body which is a gift of nature’, I could feel absolute peace, complete bliss’’. 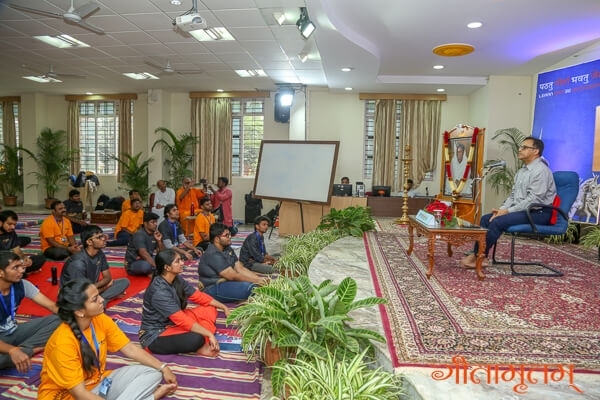 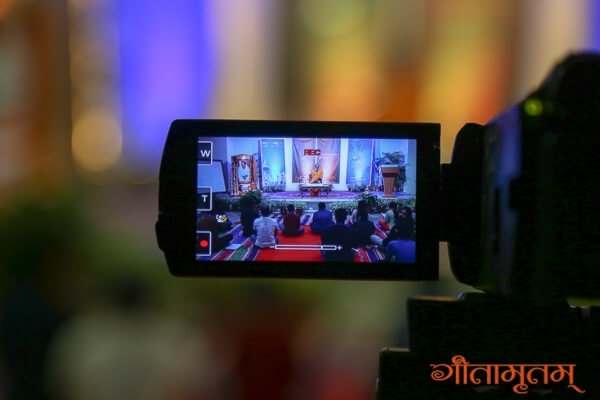 Ms Gayathri expressed her heartfelt gratitude for such a soulful, spiritual experience. 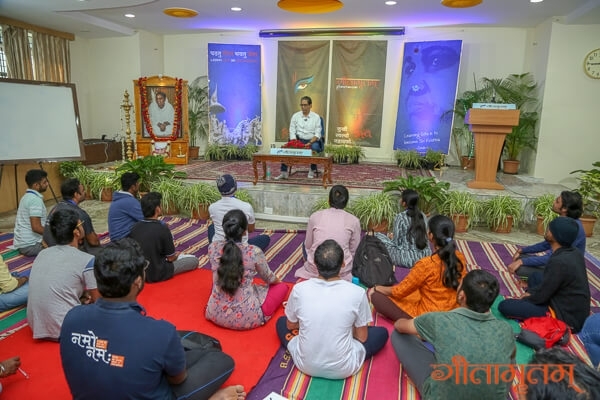 The yoga session by Dr Sripad H. Ghaligi turned out to be an instant super hit with the participants and everyone wanted to attend more sessions by him.